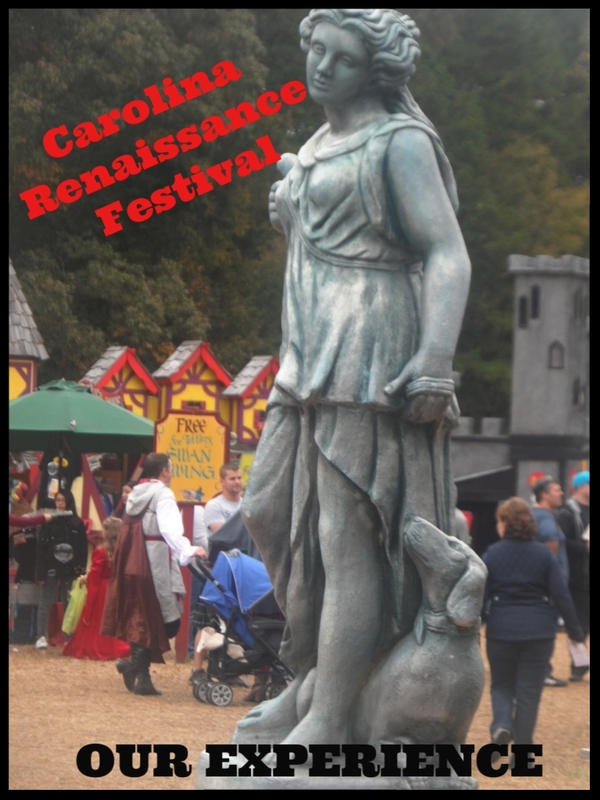 Located in Concord, NC, The Carolina Renaissance Festival is an entertaining destination for the whole family. From a free toddler play area to fire eating demonstrations, there are exciting shows and activities for family members of all ages. 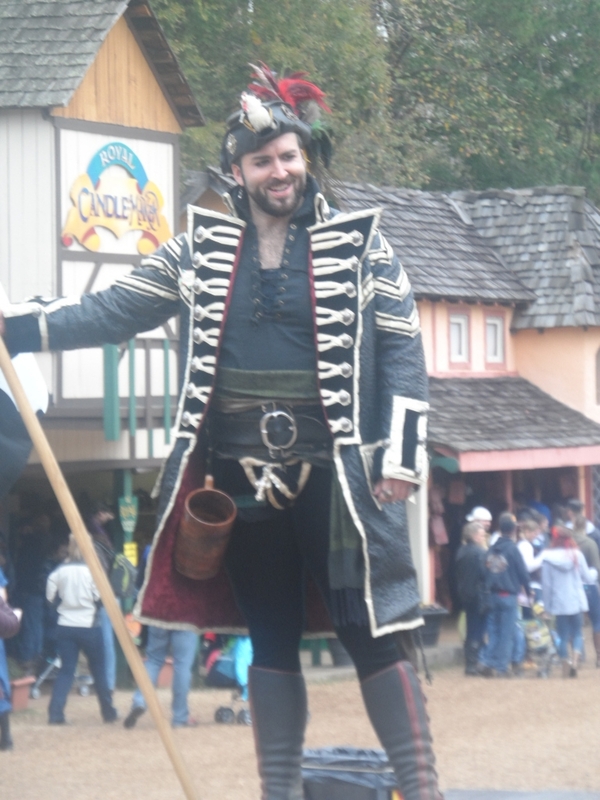 When you first arrive, you are greeted by characters dressed in Renaissance style clothing, speaking in 16th Century European accents. My children (and husband!) had never been to a festival like this before and for me, it has been a good 25 years since I've been to one. I had some faint memories but my experience here was much better than I seem to remember! 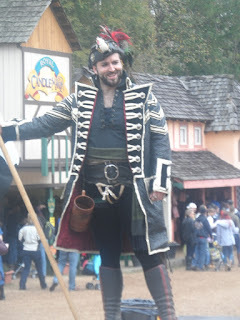 My husband was impressed and my kids had a memorable experience. I think they were a bit overwhelmed at first because I didn't really prepare them. I told them a little bit about it but when they heard the word "festival" they were thinking of something completely different than what this was- they had NO IDEA that it was basically set up like a theme park, so when we arrived they were shocked to see piles and piles of cars filing into the parking lot and loads of people passing through the entrance. Once we got in and they realized what was going on, they jumped right in on the fun. One of their favorite activities was dressing up in armor! My sons also thoroughly enjoyed the bird show that featured an owl, vulture and other birds. My husband enjoyed the different artist demonstrations including lamp working, glass blowing and blacksmithing. In addition to the piles of free shows and activities there were a few rides and games. The games were not your typical "carnival games," but were true to that period including archery, star throwing and knife throwing. My daughter was a huge fan of the larger than life rocking horse ride. She patiently waited in line and had a blast looking down at the rest of us from the large wooden horse. The food was absolutely amazing. You could choose from gigantic turkey legs to hot bowls of stew in a bread bowl. We opted for the bread bowls since the weather was a but on the chilly side. They totally hit the spot, again not your typical "fair food." The highlight of the day, hands down, was the jousting tournament. There were three shows throughout the day and we chose to go to the earliest. We arrived at the show fifteen minutes early expecting plenty of seats to choose from. To our surprise, when we arrived, the benches were almost completely filled up. Fortunately we found one lonesome bench in the front row! People filed in afterward to the point where there was standing room only, so I would suggest arriving twenty to thirty minutes early if you want a good seat. My kids loved watching the jousting filled with cracking lances, broken shields, a queen, knights and of course, horses. We spent a good part of five hours at the festival and probably would plan for the entire day next time. When you first arrive you receive a map and a schedule. I definitely suggest you look through it and plan where you want to go throughout the day and when otherwise it can get to be a bit overwhelming. There are several tents with different shows going on throughout the day so we will want to figure out who in your family wants to see what. I also do not recommend a stroller since there is rough terrain and some of the vendors do not allow strollers in their booths. I brought my baby in a carrier and am so glad I chose that option, it worked well. As for this year, there are still a few weekends left! The fair will be only the next three weekends in November on both Saturday and Sunday from 10 am until 5:30 pm. Parking fills up fast so I suggest getting there as early as you can to grab a decent spot! Disclaimer: This post is brought to you by The Carolina Renaissance Festival and US Family Guide.